And here is a picture of Mr. Bradbury's reaction. Perhaps viagra was mentioned? Happy belated 90th birthday to the grandmaster. Brandon Sanderson developed a decent following based on his own fiction, but it was his selection to complete The Wheel of Time after Robert Jordan’s sad, premature passing that placed his name among the rock stars of epic fantasy. One has to believe that it was in part due to Sanderson’s exposure to the inner workings of The Wheel of Time that helped to inspire him to dust off a shelved concept for his own multi-book series. The Way of Kings (Book Depository, Powell’s Books, Indiebound) is book one of The Stormlight Archives, a planned 10-book series. As a long-time fan of The Wheel of Time, I have nothing but praise for Sanderson’s efforts to complete the series. However, I’ve also enjoyed Sanderson’s own Mistborn series. In this respect, I really want more of Sanderson’s original fiction, and was quite pleased when I heard that The Way of Kings was in the pipeline. In spite of the pressures of limited reading time in my life I was equally excited when I learned that The Way of Kings is the start of a big fat fantasy series. Whether or not Sanderson’s exposure to The Wheel of Time influenced the development of The Stormlight Archives, The Way of Kings is superb beginning to a series that will likely be the face of epic fantasy for the next decade or more. A beloved king is assassinated leading the nation of Alethkar to wage war against a mysterious foe beyond its borders. This war and others throughout the world of Roshar seemingly distract humankind from an oncoming apocalypse where creatures of myth seek the destruction of all people. We see the story unfold from the points of view of just a few scattered across the land. Let’s not dance around it – The Way of Kings could be a defining example of big fat fantasy. It weighs in at a hefty 1,008 pages in hardcover and is only the first book in a projected 10-book series, and I daresay that each volume will probably be rather long. This is classic epic fantasy – an imagined second-world setting, magic, and good versus evil, though identifying a specific quest is a bit trickier. In some respects The Way of Kings holds much in common with beginning of George RR Martin’s A Song of Ice and Fire – the real evil that must be faced (and most probably overcome) hasn’t really revealed itself as the typical concerns of humanity get in the way. In fact, while you could probably quickly identify the ‘good guys’, identifying the bad guys is far less certain. Thematically, this is the point, and a point that I think will only grow more important as the series progresses. The Way of Kings is essentially told from the point of view of 3 characters. Dalinar is the brother of the assassinated king and uncle to the new king. Kaladin is a slave with a unique past sold into service of the army of High Prince Sadeas. Shallan is the daughter of a disgraced and impovershed house looking for a way save her family. The Way of Kings is character-based in that the success or failure of the story lies with the characters much more than other elements of the story. In this Sanderson succeeds with characterization that is by the far the best I have seen in his writing to date. As one would suspect, the characterization does vary a bit, though it feels intentional and one’s reaction to it will largely be a personal one – in other words, I may like Kaladin best, but someone with differing life experiences from me may relate to Shallan much more. As I indicated above, Kaladin is the character I found myself enjoying the most. While still relatively young, he is weighed down by the hand life has dealt him – a promising career, a rising star in the army, glory on the battlefield, a fall from the top of society, hopelessness and despair and throughout a sense of failing those around him. Throw in a natural ability to lead and a bit of mystery and Kaladin is a classic protagonist of epic fantasy that fans will flock to. Kaladin contrasts with other characters such as Shallan. Shallan is young, naïve and selfishly motivated. Shallan’s goals are to get into the good graces of Jasnah, a smart, powerful, heretical woman, and steel her greatest possession. Her motivation may be to save her family, but it’s really hard to truly like a character with the annoyance of youth with questionable motivations. Or contrast Kaladin to Dalinar – an old honorable man who often comes across as a prudish, stuffy old man out of touch with those around him. Of course he’s also a great warrior, an inspiring leader and someone who just may save the kingdom. Along with the major characters, there also a few minor, and more mysterious characters who I can’t help but want to know more about. Szeth is a mysterious assassin, more powerful and skillful than anyone he meets, and a slave devoted entirely to serving his master, whoever that may be. The few short points of view we get from Szeth always leave me craving for more. And there is Hoid, a character that has made appearances in Sanderson’s other fiction, including Mistborn (Book Depository, Powell’s Books, Indiebound), Elantris (Book Depository, Powell’s Books, Indiebound), and Warbreaker (Book Depository, Powell’s Books, Indiebound). Hoid seemingly plays a larger, more critical role in The Way of Kings– does this point to The Stormlight Archives revealing the truth of a metaverse in Sanderson’s fiction? I don’t know, but I look forward to finding out. My review wouldn’t be complete without a least some discussion of the world of Roshar. The world is dominated by highstorms – storms strong enough to strip the soil from the land. In fact the land itself has no soil and plants and animals have evolved to shelter from these storms. The landscape feels desolate and alien, altogether different from the cloned earths that most fantasy offers. This world further comes alive through the wonderful illustrations included throughout the text. I found it amusing that as I was reading The Way of Kings descriptions of Roshar reminded me of another fantasy world, one just beyond my remembrance – I finally realized that it was the world form Mistborn that I was reminded of. Sanderson has developed his own style of worldbuilding that I find immensely satisfying. It’s very often true that the best, most original ideas in blogging are blatantly ripped off from another blogger. In this spirit, I will blatantly rip off John Scalzi for the totally original idea of taking pictures out of my hotel window when travelling. To begin, I’ll give you 4 of the 5 hotel views from my recent trip to Romania (I missed the first hotel in Bucharest). Here’s the view from my room that I had for only 1 night in Hotel Edinburgh in a city in southern Romania that shall remain nameless since I’m not supposed to talk about where I was working in Romania. I will say that this city is known in Romania as ‘The City of Stupids’ (not an exact translation I’m sure) due to such things as building a building around a crane and being forced to leave the crane inside the courtyard. It's very curious that this hotel has been re-done to look like a castle and is named after Edinburgh. This place is far off the tourist map and yet it seems to be going after a distinctly 'Western' clientele. Well, we kept it full for a while, so I guess the owners know what they are doing. This view is from the Hotel Primavera where I spent 11 lovely nights in the same city as above. There was a nearby gyspy house (I was instructed to not walk in this neighborhood at night) and many, many roosters. Did I mention the roosters? What a wonderful way to experience dawn every morning. Did I mention it was every morning? The view from the Ramada in Sibiu. I would have preferred a more ‘backdoor’ style hotel, but there are few options when arriving in one of Romania’s biggest tourist attractions on a Saturday night in August with no reservation and needing a parking space along with the room (and wanting to be within a short walk of the city center). It was a nice place, if a bit more expensive than I was looking for. My final hotel in Bucharest – again a Ramada. I only stayed here for a few short hours as I had a 3:15 am wake-up call to get to the airport for my trip home. A wonderful view of the media building in Bucharest, constructed by the communists to let everyone know that Big Brother is always watching. A Great Hunt for Wheel of Time Fans! Sounds like fun – I’m sure that Wheel of Time fans are up for the challenge. In other news, the Prologue to Towers of Midnight (Book Depository, Powell’s Books, Indiebound) “Distinctions” (order it direct) is available for preorder and will be released on September 21st. I hate this – I loath to pay for something twice and can only see this as a money-hungry move by the publisher. But since people will pay for it, I can only conclude that it is a sound business move, if one that I find repugnant. So I’m back from my trip to Romania. I may do another post summing it up, but I may not. It’ll largely depend on my mood and how busy I am next week. Over the past couple of days I’ve mostly caught up at work and I’m making good progress at home. I owe the blog a couple of reviews, but it’ll be next week at the earliest. I think I’ve even caught up on sleep and hope that I can actually stay awake long enough tonight to read a bit. My body doesn’t process jet lag as well as it once did, but I’m over the worst now. Just to give you an idea of what I came home to – the picture below is all of the book packages that were waiting after about 3 weeks of travel. I love getting books, but you can see why I’m always way behind here. There are so many good books and I have so little time for reading. If you’re curious, here they are out of the packages, 27 in total. More regular programming should return next week, though defining regular programming would be a challenge anyway. Work ended yesterday so I immediately took off for someplace a bit nicer. After a few insane hours driving, I ended up in Sibiu in Transylvania. This is a very nice town to be in and I’ve enjoyed my time here. Tomorrow I fight the traffic back to Bucharest for my flight home on Tuesday (which is quite a bit earlier than originally planned). I’ll leave you with a few more thoughts/observations I’ve had while in Romania. I really have no idea how women can walk around in high heels in Europe – especially someplace like Romania where cobblestones tend to be even more uneven than usual. And the cobblestones are often better than the beat-up pavement and gravel you get elsewhere. Meek Romanian drivers are more aggressive than the most aggressive American drivers. There are no meek Romanian drivers. Driving in Romania is a really bad idea. Many of the best places to visit in Romania are much more easily accessed by driving. Men’s fashion in Europe will never make sense to me. After spending so much time in Bucharest and the south of Romania, Transylvania is very pleasantly cool. With club names like Envy and such Romania sometimes feels like it is stuck in the ‘80s. I actually enjoy that a pop radio station cannot go more than 20 minutes without playing a Madonna song. Observing an awkward double date needs no translation. Never be in a hurry in Romania…trust me. Can anyone argue more passionately than Romanians? I will never get used to horse carts on the roads. I really wish I had gotten a picture of the complicated maneuver or one horse cart passing another. Driving through the Carpathian Mountains/Transylvanian Alps was awesome. My Lonely Planet guide to Romania feels incomplete. I really wish that Rick Steves had a travel guide to Romania. It’s strange just how often traditional Romanian food and traditional American food match up (especially Southern food). Travelling alone is both empowering and lonely. It’s absolutely criminal that nutella isn’t more popular in the US. Drinking at an outdoor café is one of life’s greatest pleasures (at least when the weather is nice). Arriving in Sibiu on a Saturday night in August without a hotel reservation (and needing a parking space) is not a good idea. More people should be visiting Romania (but not so many as to make it yet another generic European destination). Romanians really need to learn that smoking is bad for them…and the people around them…especially children. Some Romanian beer is quite nice. So why do so many Romanian cafés feature bad German/Austrian/Danish beer instead? In the 1970s fantasy as a genre emerged primarily as secondary-world, epic fantasies largely based on Tolkien’s Middle-Earth, often embracing rich, poetic settings. 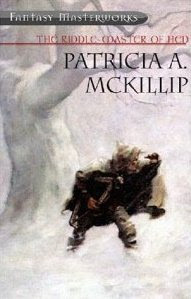 In this context, Patricia A. McKillip wrote The Riddle-Master of Hed, the first book in the Riddle-Master trilogy. It was followed up with Heir of Sea and Fire and concluded with Harpist in the Wind – the full trilogy is reproduced in the Fantasy Masterworks edition and seems to go by the alernate titles of The Riddle-Master's Game or simply The Riddle-Master of Hed (Book Depository, Powell’s Books, Indiebound). Riddle-Master tells the tale of Morgon of Hed, a former student of the College of Riddle-Masters, and the Prince and land-ruler of Hed. Morgon wins a centuries-old riddle contest with Pevan, the wraith of a long-dead king of another land, gaining a crown, learning of a betrothal and opening himself up to a destiny he had no prior knowledge of, one that he is reluctance to embrace. Morgon comes to learn powers buried within him as he seeks the distant High One to discover who he is, accompanied by the High One’s harpist, Deth, a man possibly even more mysterious than the High One. The middle ‘book’ of the trilogy, Heir of Sea and Fire, shifts focus from Morgan to Raederle, the woman Morgan unwittingly becomes betrothed to upon winning Pevan’s riddle contest. Raederle’s experiences mirror Morgon’s in many ways as she searches for Morgon and struggles with her own in-born power. In Harpist in the Wind, the trilogy shifts back to Morgon, with Raederle at his side as they struggle to answer riddles about themselves, the High One, and his harpist. Riddle-Master clearly shows the influence of Tolkien in form and style, yet distinguishes itself by not being as derivative as most 1970s Tolkienesque epic fantasies. The quest is internal rather than external in scope, answers are wrapped in riddles, and the secondary-world is relatively small and self-contained. As an early example of the modern form of an epic fantasy, Riddle-Master is actually quite fun. At times it feels absolutely predictable, but it surprises far more than perhaps it should. This is because many of the present tropes of epic fantasy simply hadn’t developed fully at the time McKillip wrote Riddle-Master. What feels like a standard trope evolves differently, if only because of the reader’s own preconceptions about tropes in epic fantasy. McKillip wasn’t subverting fantasy tropes – she was simply telling her story as she wanted and it’s only the evolution of the genre that has occurred since that makes it feel playfully subversive at times. Perhaps the most distinctive aspect of Riddle-Master is McKillip’s writing style. She writes with a poetic, dream-like prose perfectly applied to a book of riddles. The text is subtle, meanings are layered, the pace leisurely in spite of the distance it carries, with it all leaving a faint sense of times long past. A man he had never seen before, neither trader nor sailor, stood beside him. He was quietly dressed; the fine cloth and color of his blue-black tunic, the heavy chain of linked, stamped squares of silver on his breast were bewildering. His face was lean, fine-boned, neither young nor old; his hair was a loose cap of silver. While McKillip's writing is both beautiful and exceptional, it can be hard for the 21st Century mind to grasp. Like a dream, it doesn’t easily endure and I found myself unable to read Riddle-Master in large blocks. Also like a dream, the happenings of Riddle-Master tended to haunt my mind in a barely conscious way when I was not reading it, yet would easily fade away into something only barely remembered. I fear that many people will be unable to enjoy Riddle-Master for these reasons, while those that can embrace this style will be rewarded with a story with beauty residing in its telling. Centering a full third of an epic fantasy trilogy on a female lead was much more significant in the 1970s than it is today. While I would hesitate to call Raederle a feminist character, she does break out of traditional roles, taking her fate into her own hands (even if it does still revolve around a man). It was probably a very bold move when originally published, in today’s context; it’s little more than a pleasant narrative shift. In modern marketing speak Riddle-Master is often tagged as YA fiction. It is both easy to see why and somewhat surprising. Violence is muted, adult situations are chaste, language is clean, and the story is about relatively young adults (though not teenagers). However, the sometimes dense prose is often so subtle that it can become quite confusing. So, while Riddle-Master is decidedly PG-rated, the poetic, subtle style of its writing lends more to the mature mind, especially at a time of decreasing attention spans in the explosive, wired world of today. What makes something a Fantasy Masterwork? Did the book challenge society in some way? Does it explore the human condition especially well? Did it originate some fundamental aspect of fantasy writing? Was it the first (or best) example of a new subgenre? Or was it simply a good book with easily obtainable publishing rights? I found myself asking these questions and more as I reflected upon my reading experience. Riddle-Master doesn’t re-invent genre and doesn’t blatantly challenge society. Riddle-Master is post-Tolkien, secondary-world epic fantasy that manages to be non-derivative. It’s a book of beautiful subtly and style, it’s dream-like and can be difficult to grasp, with the reward in the journey. It embraces an innate sense of past and dream, searches for itself, and lingers just beyond memory. Yes, it’s a Masterwork, and for the very reasons that it may fail to appeal to modern sensibilities. RIDDLE-MASTER by Patricia A. McKillip was originally published as a trilogy beginning with THE RIDDLE-MASTER OF HED in 1976. HEIR OF SEA AND FIRE followed in 1977 and HARPIST IN THE WIND concluded the trilogy in 1979. The Fantasy Masterworks edition is titled RIDDLE-MASTER and is an omnibus containing the full trilogy in 640 pages, though the version reviewed here is an earlier omnibus edition. Note: This review was originally posted at The SF & Fantasy Masterworks Reading Project. My project over here is in full swing, which explains my silence. It’s interesting work, but long and hot – 12 hour days in 40C heat is no fun. This part of Romania is way off the tourist map, so it’s quite a cultural experience. Menus don’t have English translations, everything is cash only (including hotels) and the internet is only just arriving. Heck, AC is luxury and no public places have them (thankfully my hotel room does). I still can’t get over all the horse/donkey carts that share the roads. Romanian men are so manly that it’s not uncommon for them to carry purses of their own. Many women carry around fans, though I doubt they still use them to speak another language like was done in places in the past (but I could be wrong since I don't speak fan). I used to think that fans were just for young girls in tourist shops. I watched a guy ask for salt to put in his beer. I’m not sure if this is a strange cultural thing, something to do with it being really, really hot, or if the guy was just weird. It bothered me. Adolescent courtship is the same everywhere – guys doing really stupid things and young women somehow pretending they don’t. I really like that women in Romania ‘check me out’, though it’s quite strange. This city is so safe that when passing a young woman on a street at 11:00 at night when no one else is around she looks at me, and not because I may be a threat. It’s probably the beard – it seems that in Romania only priests, Roma, and American tourists have beards. I went for a new experience tonight – I went to an ex-pat Irish bar. There were a bunch of old(er) guys at the bar and a few younger people on the patio. The most exciting thing was the cricket on TV. Engrossing, but not actually exciting. Tomorrow I think I’ll go back to Lipscani. I have now drank in Irish pubs in 8 different countries – none of which are Ireland. Brandon Sanderson writes books that are far too heavy to carry around. Shorter books are much better reading for the park. I thought rollerblades were something of the early-90s. This is not true in Romania. Subways everywhere smell the same – some are just stronger smelling than others. Romanian subways are actually not anywhere near the strongest smelling I’ve been around (I’m looking at you London). I’ve now been in Romania for about 24 hours and I’m loving it so far. The adventure begins at the airport – not quite what I was expecting from what is supposedly the premier airport in the country (but they seem to be working on that). Thankfully I waited to get money from the ATM outside of security and didn’t change with at the ‘official’ places (who have the worst rates). And I think I managed to not get too ripped off by the cab on my way to the hotel. After cleaning up a bit I headed down to the old city center – Lipscani. This required using the metro, which is rather nice and convenient. Immediately the contrast of this city leaps out. I was in Prague less than 10 years after the fall of communism and it was far more ‘western’ at the time than Romania is over 20 years after the fall. And it makes for a great energy (or perhaps vibrancy is the better word?). The old and new are mixed together. This city is only now going through its facelift (lots of restoration is happening, but it still has a ways to go). You have the monstrosity know as the Palace of the People (or Parliament) that was a communist debacle that destroyed about 1/6th of the city and bankrupted the nation (it’s the second largest building in the world). And then only a few hundred meters away, off the main street you find buildings in ruins or beautiful little churches and monasteries that somehow survived communist eradication. These are places of peace – where I had one man who shook my hand simply because he realized I was American (which was really quite odd, but rather uplifting as well). And even though Rome ruled Romania for less than 200 years about 2000 years ago, the people here still hold on to that unmistakable Latin character – I can’t help but think of Italians with thick Slavic accents. This city comes alive at night – well, at least Friday nights as I haven’t seen any others. Oh I wish I were 10-15 years younger, single and with a group of friends. This city must be a single’s dream come true. Everyone is out parading around to be seen – the men openly eyeing the women and the women only being slightly more circumspect about eyeing the men. I honestly haven’t seen the like since I was in high school and college. I grew up in Austin going down to 6th street, I’ve experienced Bourbon Street both during and out of Mardi Gras, I’ve done Vegas, I’ve been to Soho on a Saturday night and none compares to the young energy I saw in Lipscani (of course it could just be that I’m old and out of touch – but I choose think it’s just that great here). If only it weren’t so damn hot and humid. Nothing’s perfect I guess. Anyway, I’m off to get a cool drink. I should be just about to arrive in Romania, and in honor of this big trip for work, I give you a photo from my last European adventure for work. I head out tomorrow to work on a project in Romania. I’ll be gone for several weeks, so blog activity may suffer a bit. Or it may pick up as I comment about adventures traveling through Romania – who knows. I have a few posts in the can and I’ll likely get quite a bit of reading in while traveling to and from Romania – though reviews will probably wait until I return. So, expect content to run a bit more in the direction of travelogue. Of course actual work days will probably be 12-hours+, 7 days a week, so once in country exhaustion will probably keep reading and blogging to a minimum. I do hope to squeeze in a bit of sight-seeing at the end of the trip. Below are the books that will be making the trip with me. Now, behave while I am gone. Oh and it looks like the project is already delayed, so I'll have a free weekend in Bucharest when I arrive. Any suggestions? In recent years Ian McDonald has explored near-future science fiction through the people of emerging economies such as India with River of Gods (Book Depository, Powell’s Books, Indiebound) and Brazil with Brasyl (Book Depository, Powell’s Books, Indiebound, my review), both of which received huge critical acclaim and multiple nominations and wins for some of the biggest-name genre awards. In his latest novel, McDonald takes on Turkey with The Dervish House (Book Depository, Powell’s Books, Indiebound). In the year 2027, another anonymous suicide bomber on a tram in the middle of an early heat wave sets the stage for The Dervish House. The backdrop is a Turkey that is new to the European Union in a world heating up with climate change where Turkey has emerged as a key broker of energy (gas). This is the clash of Europe and Asia, Religiosity and Secularism, history and future, the haves and have-nots. I’ll not go as far as to call the dervish house a character in itself, for if it is, it’s an incomplete character. But in The Dervish House, aspects of the geography, socioeconomic, religious and political groups do come alive – perhaps not as full characters, but as not-quite separate personalities within Istanbul – a city suffering and celebrating its multiple personalities. The Dervish House is at its best when telling the simple stories of its people. Whether it is an old Greek economist, brilliant, yet fallen, who dwells on the past and dabbles in the present, a beautiful gallery owner caught up in the search for a legendary mellified man, an ambitious trader orchestrating an ambitious and illegal get-rich scheme, an isolated disabled boy seeking adventure, a visionary young Islamist, or a country girl struggling to succeed, these are the stories that work – at least when the rest of book isn’t getting in the way. The plot structure is both a great wonder and terrible weakness for The Dervish House. The reader is fully immersed into the world of the characters – their small, insular worlds. By following the stories of six characters the reader sees more, but not the complete picture – in short, you don’t know what the book is about. At halfway through the book, you still don’t know what it’s about. Sure, you have enough to suspect what it may be about, but you don’t have that single, unifying plot to grasp on to. That lack of a central force holding the book together puts distance between the reader and the story. Yes, some of the individual characters are quite fascinating, but with the time spent divided by six, not enough devotion is built up. The book becomes easy to set aside, hard to describe, and at times, a bit boring and uninteresting. Unlike with Brasyl, when the plot does reveal itself and the threads converge, it’s an altogether satisfying unification. The end makes sense, it feels good, and presents a very optimistic melding of the conflicts tearing at Turkey from within. The science fiction focus of The Dervish House is nanotechnology. Nanotechnology has permeated society, though the full implication of it has not. Its uses are seemingly endless and people are just beginning to grasp what this means as they begin to catch up to these possibilities. The singularity hasn’t happened, and isn’t immediately eminent; however the foundations for it are being laid. I suppose it’s debatable if McDonald is using emerging nations as a way to explore near-future science fiction or if he’s using near-future science fiction to explore emerging nations. I also suppose it doesn’t matter since both are achieved; however, it is clear that these are books aimed at a Western audience as they showcase the people of countries who are likely to play a very big role in the future of the world – a much bigger role than the people of the USA in particular are willing to admit. It’s an exotic and fun way to experience near-future science fiction – I can’t comment on how close McDonald comes to getting it right, though it feels as if he gets at the least rather close.